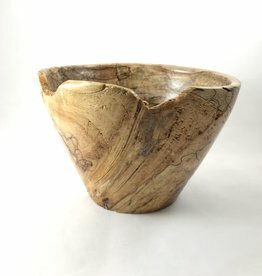 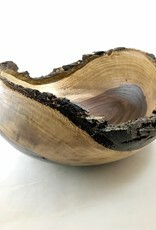 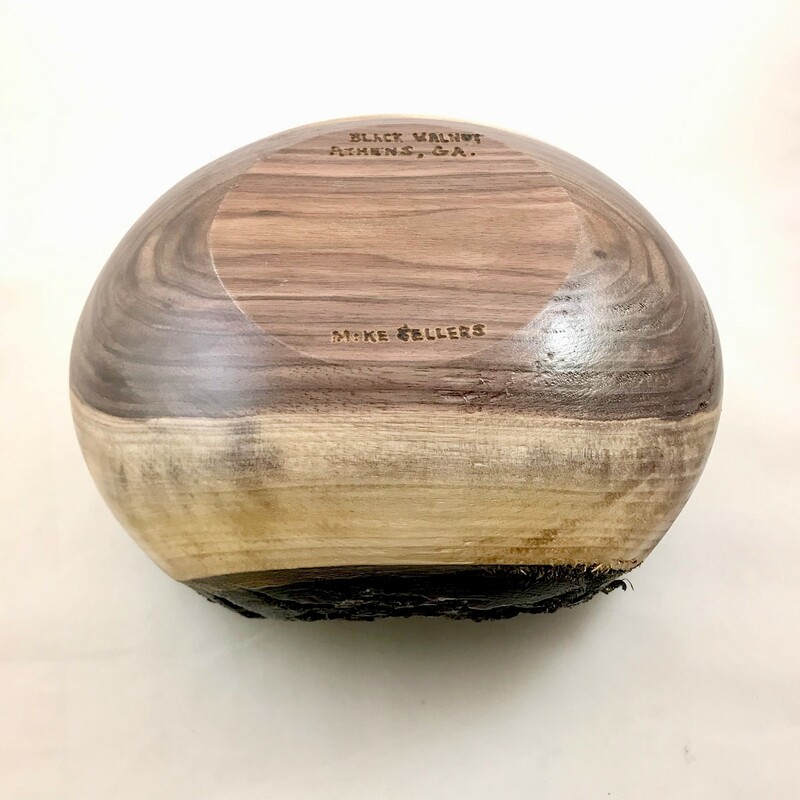 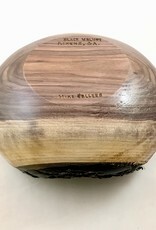 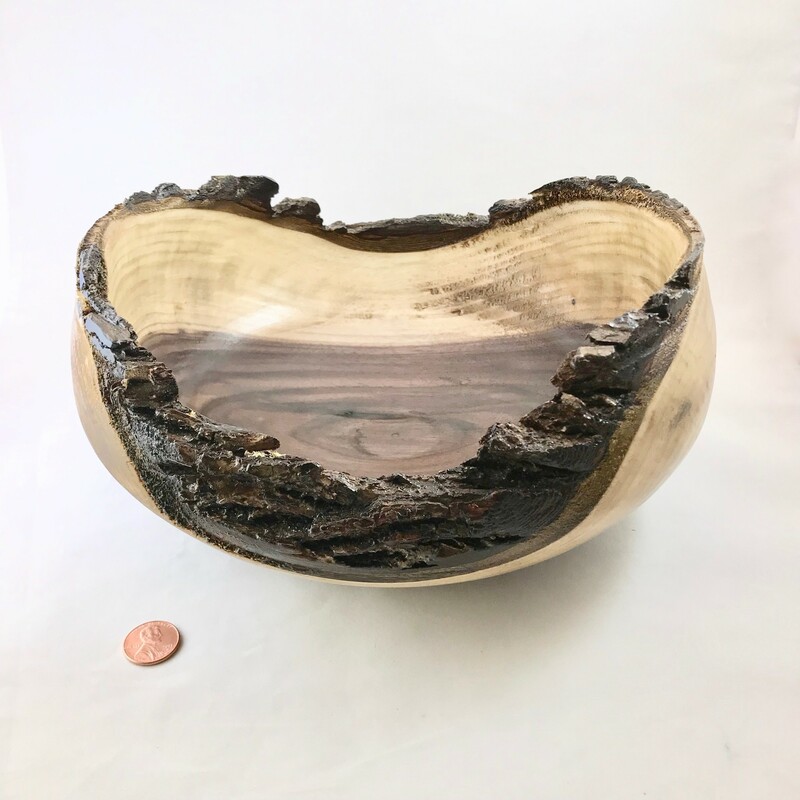 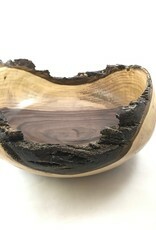 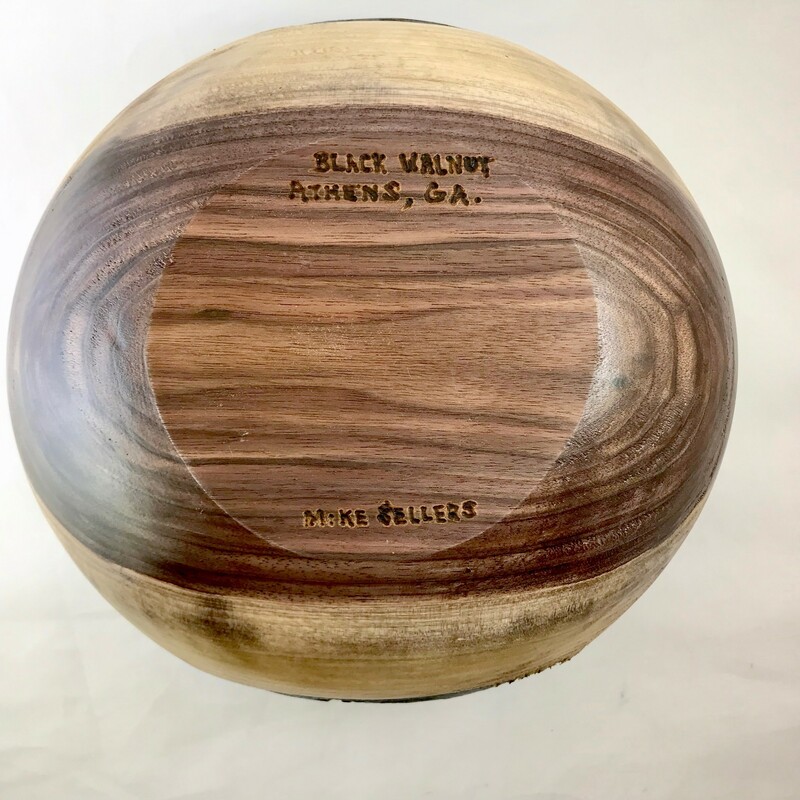 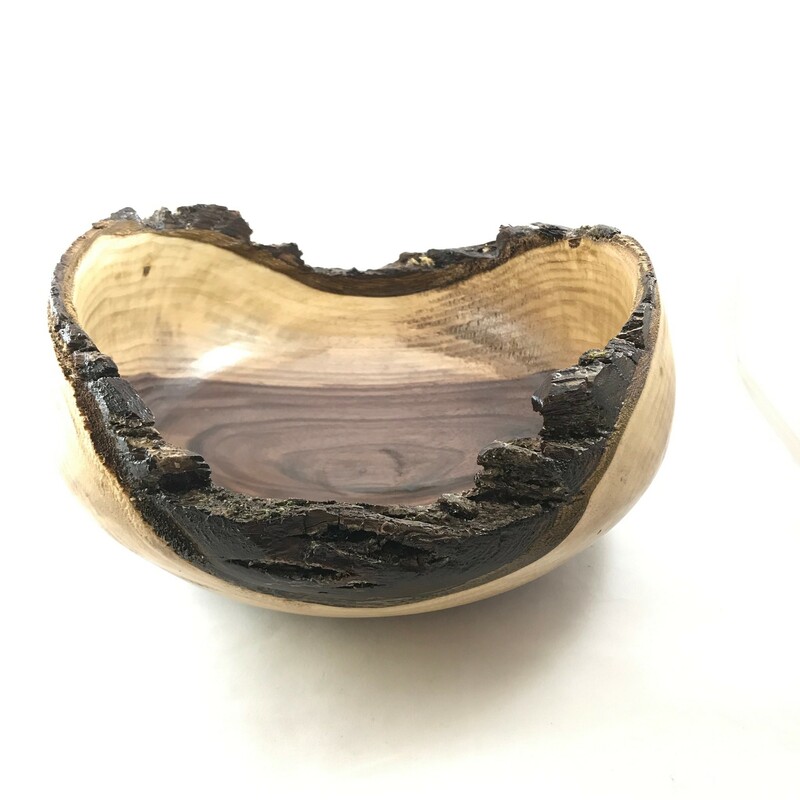 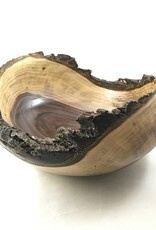 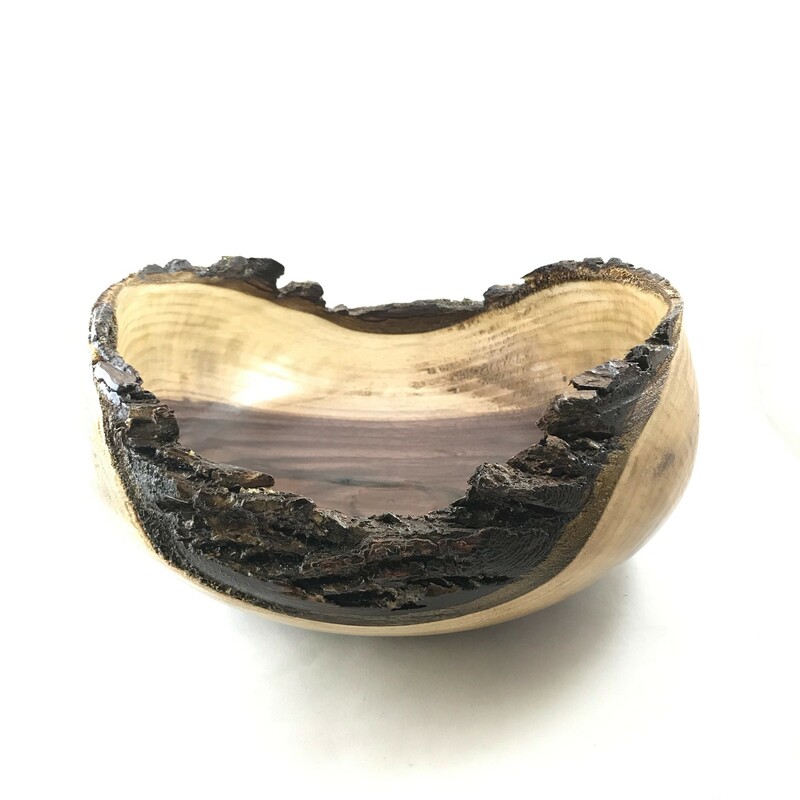 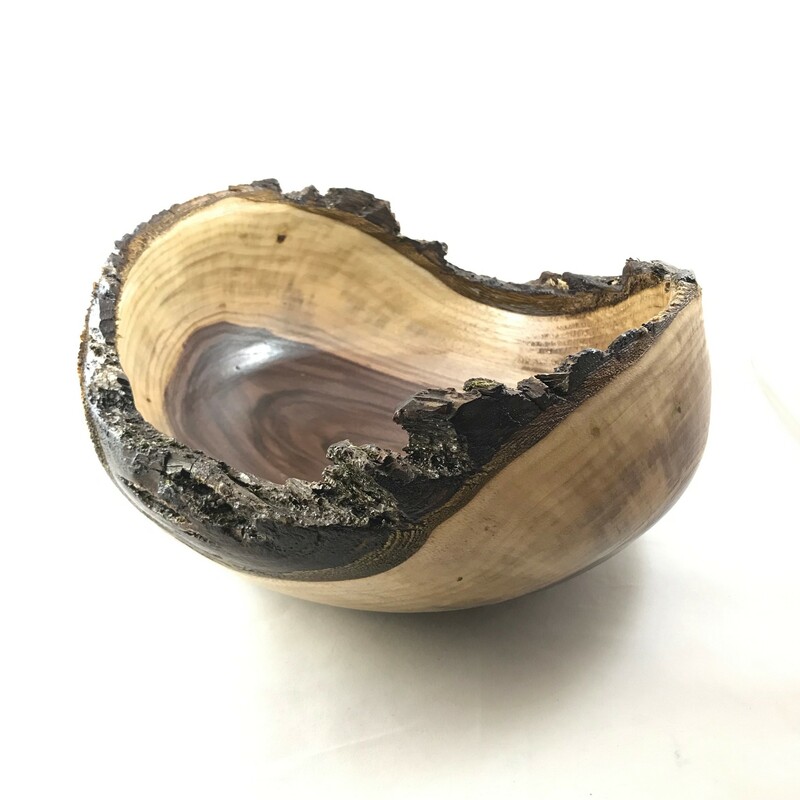 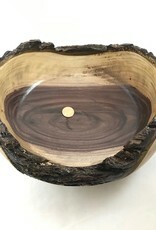 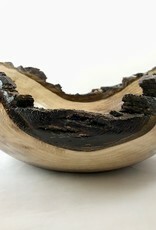 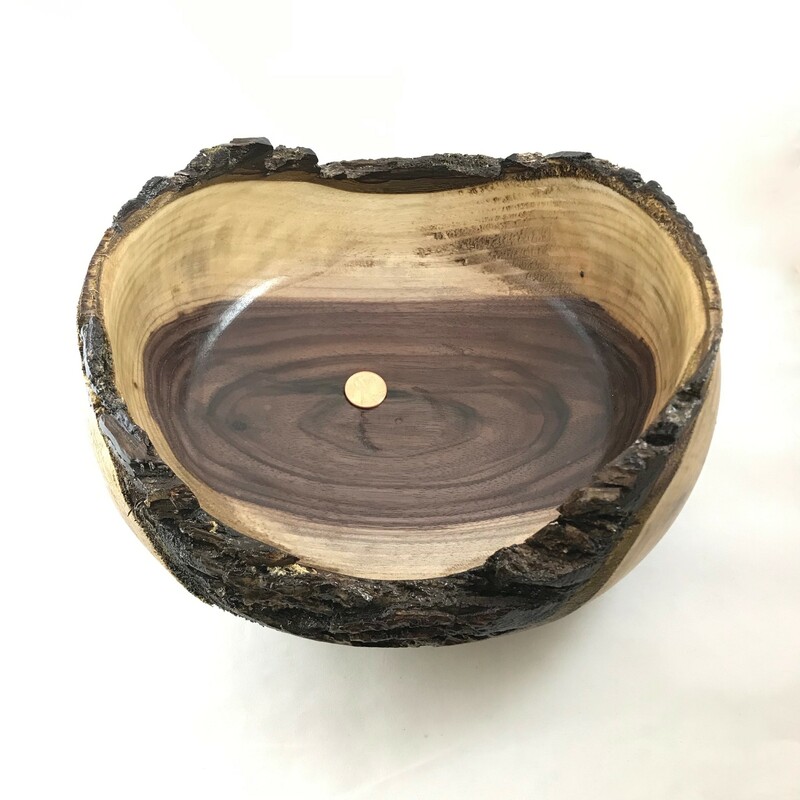 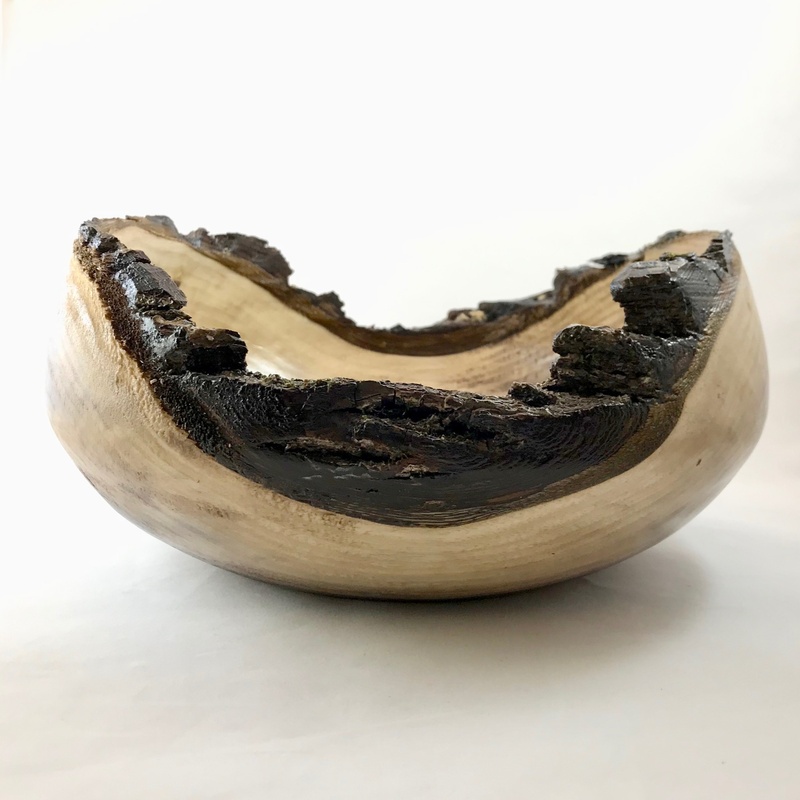 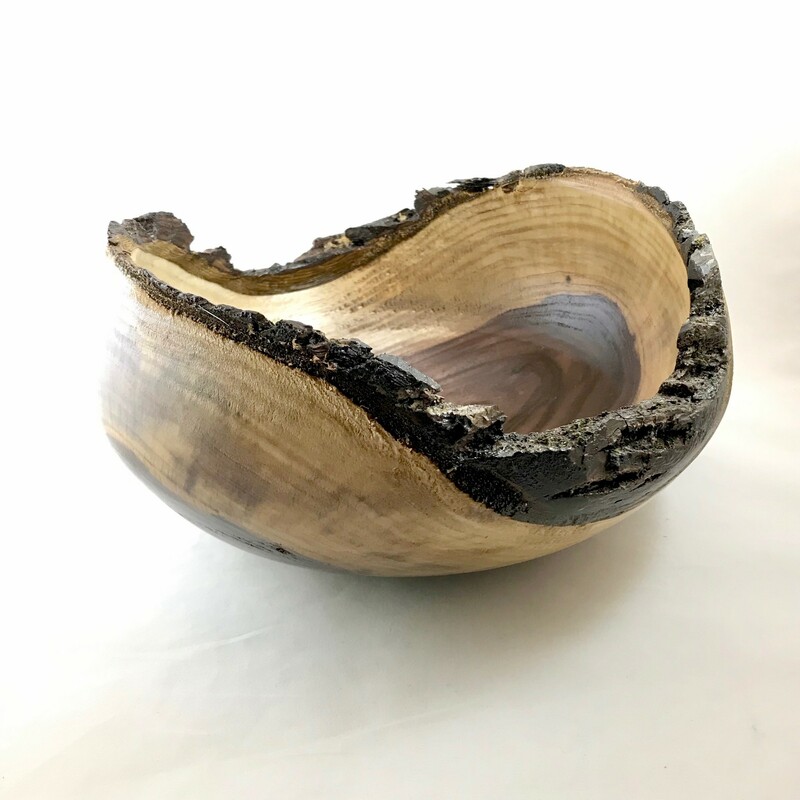 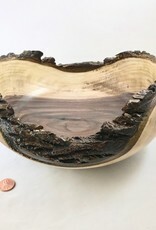 Lathe turned black walnut bowl with a raw edge by Mike Sellers. 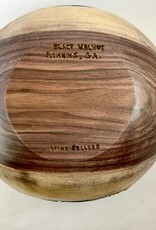 Mike has been perfecting his woodworking craftsmanship for over 25 years. 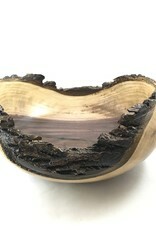 Each of his creations are one-of-a kind.